Happy International Women’s Day! We hope you’re spending the day with the important women in your life. Maybe you’re getting inspired by reading up on women’s achievements over the past year, or educating yourself about ongoing women’s struggles around the world, or even enjoying some art made by women! At the PTC we obviously love to translate women poets. Do take a look at some recent translations from our popular poetry translation workshops, like 'Notes after Watching HBO in a Hotel Room' by Indonesian poet Debra Yatim or 'Ms Trolley Recalls Countries' by Cuban poet Legna Rodriguez Iglesias. We’re still riding high on the success of our big publication of 2017, Asha Lul Mohamud Yusuf’s The Sea-Migrations, in translation by Clare Pollard (with Said Jama Hussein and Maxamed Xasan ‘Alto’). Asha Lul’s poems are fierce - in a Muslim way, a Somali way and a way that speaks to her experience of exile and immigration. One reason her book made such a splash in 2017 was that voices like hers don’t often get the limelight - in literature in general and certainly not in translated literature, where only 25% of what is available to us from other languages is by women writers (of which a very small fraction indeed is by non-Europeans). It’s great that 2018 already seems to be a year of strong women’s voices in countries like the UK and the USA. But around the world most voices are not speaking in English, and most stories are not best grasped through an Anglocentric reporting filter. Translators can give us a different (and we think more direct) sort of access to what is going on across the globe, to ideas and contexts that are truly different from what we have on our (figurative) doorsteps. As the great Elena Ferrante says, translators ‘transport nations into other nations: they are the first to reckon with distant modes of feeling’. As an organisation dedicated to translating Asian, African and Latin American poets, we want to lead from the front on this important issue, so in 2018 we are joining fellow publishers And Other Stories and Tilted Axis Press in publishing new work by only women poets. In May we are launching two new chapbooks of Georgian poems: Beginning to Speak by Diana Anphimiadi (translated by Jean Sprackland and Natalia Bukia-Peters) and I Wanted to Ask You by Salome Benidze (translated by Helen Mort and Natalia Bukia-Peters). In October we will launch a new collection with Bloodaxe Books, Negative of a Group Photograph by Iranian heavyweight Azita Ghahreman (translated by Maura Dooley and Elhum Shakerifar). 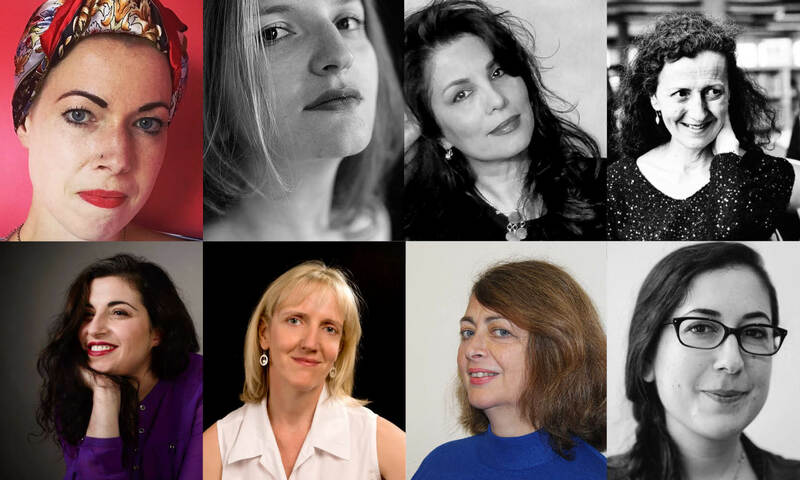 All of these brilliant women will be touring the UK to promote their books - stay tuned for more information, or why not sign up to our mailing list?